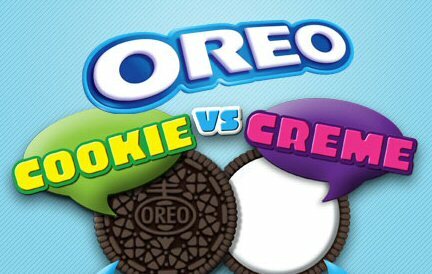 Head on over and enter the Oreo Cookie VS Creme Sweepstakes & Instant Win game for your chance to win $100,000 cash or one of the awesome instant win prizes. Click here to enter the sweepstakes and play the instant win game. Oreo Cookie VS Creme instant win prizes are Apple iPod Shuffes, $20.00 iTunes Gift Cards, and Coupons for a free packages of Oreo cookies. Be sure to let us know if you win!